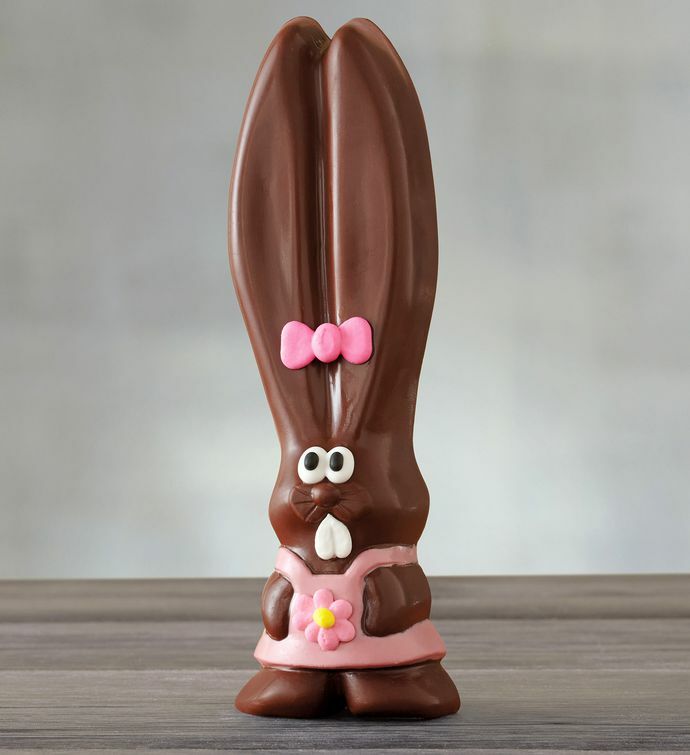 We're proud to offer a new addition to our line of chocolate easter bunnies: Mrs. Ears. Just like Mr. Ears, one of our most popular Easter gifts, Mrs. Ears is crafted in our candy kitchen using our own signature chocolate and is carefully decorated. 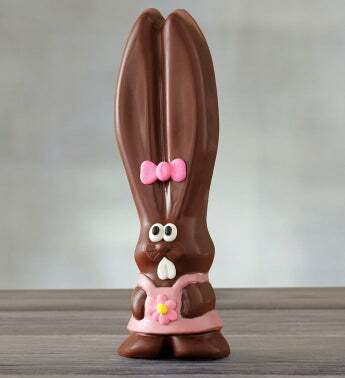 This chocolate bunny is rich and decadent, and she adds a welcome feminine spin that's sure to delight on Easter morning.